Advanced Beginner 3 is offered to gymnasts who have mastered Advanced Beginner 2. It meets twice a week for 90 minutes each session. 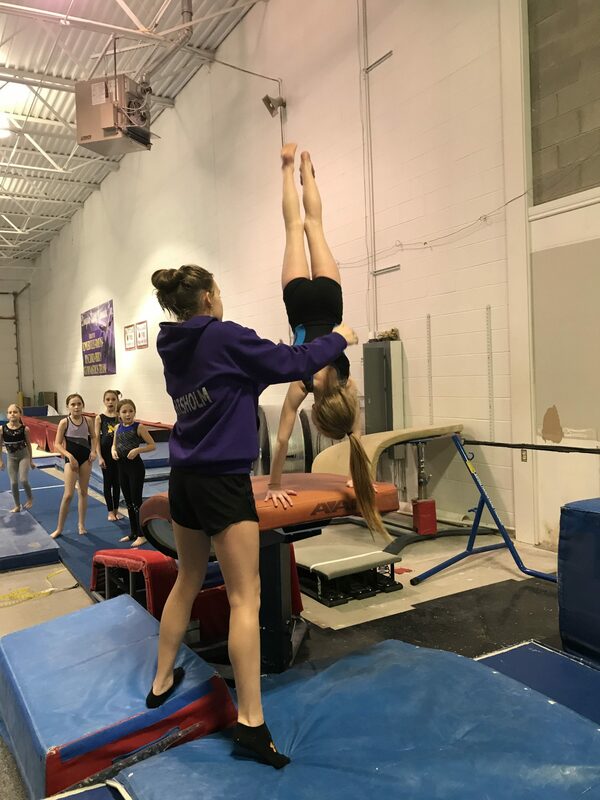 In this class gymnasts continue to build on their skills and learn about competitions. Students will learn the required skills for competition and learn how to do a tumbling series including a back tuck.